This entry was posted on Friday, September 30th, 2011 at 10:43 and is filed under Breaking News, Election 2012, GOP Candidates, Media, News, Politics, Sarah Palin, Update. CNN has posted an article by S.E. Cupp and I must say I disagree with Ms. Cupp completely. She argues that the Christie and Palin question is a detriment to the GOP. Add Ms. Cupp to the long list of people trying to tell us when it’s too late for this one or that one. Lately, it’s become an absurdity to watch. I can’t imagine that it’s possible that she believes her own impatience ought to drive the party’s choices, but there she is demanding: “Time’s up, Christie and Palin. In or out?” Excuse me if I fail to take Cupp’s complaint seriously, declared as if she has anything to say about it. Perhaps she should return to tweeting all things Tony Stewart. Maybe she would have told Reagan he had better jump in. Who knows, but more to the point, who cares? What Cupp’s column demonstrates is the arrogance of the media in its attempts to influence events according to their agenda. Besides, while this article is posted on CNN, I know that Cupp’s associations have included The Daily Caller, and of course FoxNews, so I’m not surprised to see her further this particular narrative. My laughter over this jewel cannot be quieted. Conservatives “aren’t able to fully invest in candidates?” Suddenly, Cupp’s argument seems more like a “Winning The Future” moment than any sort of conservative commentary. There is absolutely nothing forbidding conservatives from committing to any of the declared candidates. What Cupp offers here is actually an insight from the perspective of the establishment: These are people who hedge their bets, and the non-entries of Christie and Palin have essentially frozen a goodly sum of cash that might go into play should one or both ultimately announce, or swear off. S.E. Cupp now runs the conservative movement? Does she speak for you? She doesn’t speak for me. For whom is she speaking, anyway? That should be the question that you take away from all of this. Which conservative voters have become “dangerously ambivalent?” I don’t know any. Ambivalence will be measured by turn-out during the primary season next year, and not by gauging the number of big-dollar contributors still clinging to their cash. 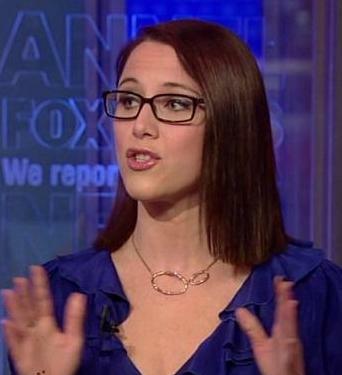 I’ll give Ms. Cupp her due: She did an excellent job of trying to advance a phony narrative. All I can say is “Better luck, next time.” As I pointed out in my coverage earlier Friday, this all comes down to strategy, and none of us should fall into the trap of believing Ms. Cupp doesn’t know that. What we should also recognize immediately is that Cupp’s article is a part of somebody’s strategy, and when taken together with Williams’ article on FoxNews, it begins to paint the picture more clearly as to the identity of the driver of this narrative. All of these people (Williams, Cupp, Ingraham, Coulter, et al) draw paychecks from Fox.. All of their opinions are thus suspect. They are workin' for da man.. Roger A. It's really no more complicated than that. Looks like we have to start looking for a less foxier Fox News to a more Grizzly like slanted Conservative news. Their not having declared or declined at this point may, in fact, have hurt the G.O.P. … boo hoo … poor G.O.P.!!! But, hurt conservatives? I think not! Christie is a non-event … if he doesn't run, so what … if he does run, climate, gun control, RINOism, etc. make him a non-starter. her campaign … her timing … her conditions … His guiding hand. Of course, all of these "wizards of smart" came right to Sarah Palin's defense whenever she is pelted by the lamestream media, right? Now they are trying to get Sarah to take their advice? It is also like a time of shaking among those who have claimed conservative credentials. They are showing their true colors. I'm starting to suspect that S.E. Cupp is Megan McCain's older, more mature, atheist, but still ding-bat sister. Not a fan. I love how everyone and their sister is everything expert on SP. This poll and that poll about who can be BO. Bull hooey! That's a long time from now and a lot can happen, including Sarah Palin entering the race when she shes dern well sees fit too and surprising many know-it all, talking head, establishment GOPee-ers and their bedfellows. Just keep watching, is what I tell my doubting friends who listen to way too many opining pundits. Great article as usual. You bring up some compelling points. S.E. Cupp has no background or expertise to pass judgment on anything related to political campaigns. I don’t begrudge anyone from expressing his or her opinion, but Cupp has never ran for public office, never been a campaign manager, and never worked as an outside consultant to a campaign. It’s disturbing to me whenever someone is given a platform to write or speak about something they have no demonstrated competence in. As for Ms. Cupp, she is the same person who scratched her noggin in support of Tucker Carlson, and twitter what the big deal was about giving Mike Tyson a web page to express his vile comments about Sarah Palin. And, of course, Glenn Beck has given her a job. Sorry to say, the most I can say about S.E. Cupp’s expertise is that she has a gifted ability to get exposure to promote her “expertise” based on no demonstrable competency. I used to appreciate SE's blunt take on Dems but her voice is now bouncing around the establishment echo chamber with the likes of Rove, Kristol, Carlson, Perino, Morris, and Krauthammer. The last 3 years of so-called conservative mainstream commentary has done nothing but reveal these pundits for who they are: libertines in conservative clothing. They claim the tenets of conservatism without any of the principle, heart, or soul behind them. Instead of masquerading self-aggrandizing op-eds as wisdom, they need to simply hush. It's those carping pieces, not Palin, that are damaging the conservative brand. Almost forgot Coulter and Ingraham, two of the most egregious faux conservatives around. There’s no place for their spinster analysis, especially not in these times. They, along with the rest of the aforementioned lot, are essentially as much an enemy as the other side is toward us. For Christie's part, I don't know how much more unequivocally–or how many more tmes–he could deny that he's running for President. The only ones pushing Christie are media types (Coulter, Kristol, O'Reilly, Erick Erickson, et al). Ms Cupp appears to be asking Christie for relief from a situation that her colleagues have created. Excellent column Mr. Mark America. Did a contentious and crowded Democratic field hurt Barak Obama in the general election? I seem to recall that McCain actually was the "setllted" candidate before Barak and still couldn't raise the money Obama did. Time and Resources? And didn't Reagan, Bush, etc both enter LATER and benefit from conserving their resources. Conservatives believe in competition and a FREE MARKET. We believe the struggle makes us stronger and more able to withstand competition in the future. Just who is SE (who I adore by the way) and others to decide first – what the rest of us should do (isn't that political socialism or facism?) or what these candidates should do? THEY have to live with the success/failure of their decision with invasion of privacy, loss of reputation, financial strain and family tension. Not the fetching Ms. Cupp. Let's actually PRACTICE our conservative beliefs in politics. If the candidate gets in to late and looses, GREAT! It shows that they have poor political management. Better to get rid of them now than in a general election, right? But let the marketplace decide the winners not a cabal of political or TV personality 'elities' who think they've figured this out. If a candidate isn't strong enough to attract financial backers now – THEN THEY ARENT THAT STRONG ARE THEY?? These same pundits have told us Mitch Daniels, then Tim Pawlenty, then Rick Perry were all "the guy" – and all have shown they couldn't handle it. If her theory was correct – THOSE GUYS (with exception of Daniels of course) should be cleaning up? I don't care if they don't get in until NOVEMBER! Why would anyone care (SE Cupp, Ingraham, Coulter et al) whether or not Palin gets in or stays out…Palin has her own strategy and owes NO ONE any explanations…true supporters will continue to support Sarah regardless of her decision…so everyone just needs to STHU…and let the world unfold as it should. I keep hearing people say it is "too late" and it is "not far to the others" for Palin to not announce yet. Sarah Palin owes them nothing. Also, if money contributors are holding their funds to maybe wait for Palin to enter the race and other campaigns are running out of money and have very few supporters (MB comes to mind) , maybe they need to realize they are not the candidate everyone is looking for and call it quits. Regarding endorsments, I have to wonder if Bobby Jindal is asking himself if he endorsed Rick Perry too quickly. I'm not sure why anyone is even questioning Christie's campaign ambitions. The number of times he's said no for 2012 equal the number of times the question has been asked. As for Palin, the only way she can announce too late is if she waits until after the election is held. Voters know Palin, so the only disadvantage she has by waiting as long as she has is that she's missed out on several debates.